New York native Celeste Fierro has had her hand in the hospitality industry through special event planning, corporate events and charitable functions for almost 20 years. In 1997, she founded Cititaste Events, and quickly became one of the most sought-after event planners in New York City. Fierro’s extensive roster of high-profile clients and affairs includes events for the Annual All-Star Games of Major League Baseball (MLB), the National Football League (NFL), and the Pro-Bowl, as well as events for the Cystic Fibrosis Foundation and American Express. In 2004, Fierro’s career catapulted to the next level when she and a business partner, Jonathan Segal, opened ONE (1 Little West 12th), a restaurant in the heart of New York City’s Meatpacking District. Fierro successfully fused her event management expertise, culinary experience and keen promotional skills to develop ONE into one of the hottest restaurants in New York. 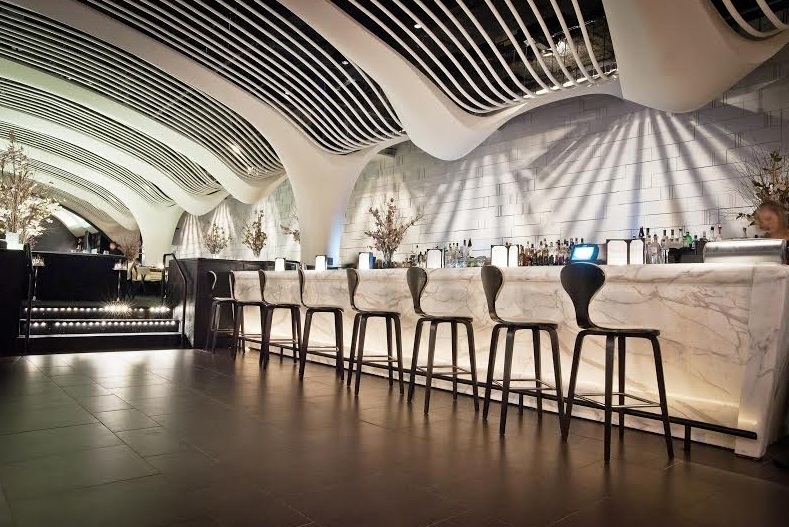 The success of ONE led to the creation and opening of STK, a modern steakhouse and chic lounge, also located in Manhattan’s Meatpacking District. 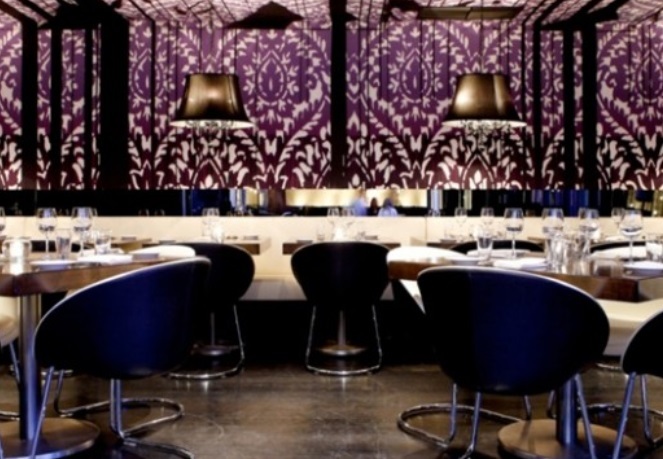 Both concepts revolved around an ambient, high-energy dining experience fused with upscale clientele and vibrant energy. Guests of the restaurants learned immediately upon entering the venue that they would receive more then just the expected refined cuisine. The restaurants began to multiply, new concepts developed and Fierro’s empire grew to include locations in New York, Los Angeles, Miami, Las Vegas, Atlanta and London. I first got into the hospitality industry by working for John Scotto, who is known for Fresco and being from the Scotto food family. From there, I opened my own event planning business in 1997 called Cititaste Events, which is really where my love for events, marketing and hospitality truly blossomed. I did that for about 10 years and developed a great roster of clients, from the MLB to the NFL. I then entered into a joint business venture with Jonathan Segal in 2004 when we opened ONE in Manhattan, and the rest is history! Tell us about The ONE Group. What inspired the idea and what is your vision for the company? The name of The ONE Group stemmed from the first restaurant that my business partner, and our current CEO, Jonathan Segal and myself developed called ONE, which was located on 1 Little W 12th Street in Manhattan’s Meatpacking District. Based off of that, we decided to call our company The “ONE” Group. 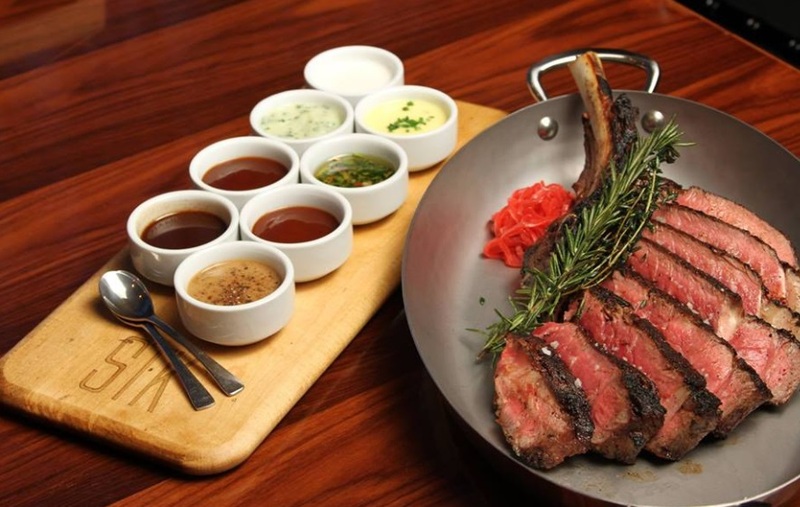 STK came about due to the fact that there just wasn’t a steakhouse that seemed fun, accessible and sleek, that could appeal to all types of people. We emphasize the fact that STK promotes a social experience, which is so relevant in this day and age. We went with the “Not Your Daddy’s Steakhouse” theme because we wanted to emphasize these traits, let people know up front that it isn’t a typical steakhouse. What strategic partnerships/marketing strategies have you implemented that have attributed to The ONE Group's success? One of my strengths is being able to establish great and long-lasting relationships with guests, companies and celebrities alike. I started out with our first restaurant endeavors at The ONE Group bringing in companies to do events at our venues, and it just expanded from there. We started out partnering with companies like DirecTV, the NFL and the Gansevoort Hotel Group. Because of the strength of our relationships with those large companies and our mutual successes together those are partnerships that are still in place today, years later. We are seeing a shift towards the digital, which is something that the hospitality industry has not been able to fully capitalize on yet. Currently at The ONE Group, we are trailblazing in that realm, and attempting to create a modern hospitality experience that engages our guests both digitally (for instance, with the online booking process, building a presence on social media, etc.) just as much as we are able to when they are present in the venue. We are aiming to redefine what hospitality means in a modern way. One of my favorite quotes is by Dale Carnegie. It reads, “Inaction breeds doubt and fear. Action breeds confidence and courage. If you want to conquer fear, do not sit home and think about it. Go out and get busy.” I also try to keep a lot of balance in my life, and I truly believe that balance breeds happiness. Within the company, we like to use the terminology and values of “EMBRACE”, which promotes Energy, Motivation, Balance, Respect, Adaptability, Creativity and Excellence. Your greatest success as Co-Founder & SVP of The ONE Group? Most difficult moment-how did you overcome and what did you learn? My greatest success has been seeing the company grow to where it is today. Sometimes when I take a step back and see where we are now, I feel very humbled by our successes and triumphs as a company. I truly had no idea that our ideas would take off as much as they did. One of the most difficult moments in my career thus far was when I had to make the move from doing the marketing, events and branding for the company to taking on a head of operations role. I had not ever done ops so in-depth before, and making the move into a very finance-based position was a huge challenge for me. But I took it head on, and coming out of it I had an entirely new skill set. Now that I am in my role as Senior Vice President and head of our Events & Marketing departments, I am so thankful that I have a comprehensiveunderstanding of food and beverage costs, the cost of goods, etc. due to my time spent in operations. Your advice to an entrepreneur/restaurateur? Whether it’s a smile, buying someone a drink or touching a table to say thank you, I truly believe that if you extend genuine kindness and hospitality to anyone, it goes a long way. Taking the time to say thank you to a guest is key. It is the first step into building a relationship with that person and towards making them a recurring customer. Describe the ideal experience at STK/The ONE Group venues. You’ll walk in surrounded by interesting people and a great song playing. An ideal experience begins with a drink at a bar in the lounge area, and mingling with the other people around you. You’ll get settled in, and maybe say hi to the table next to you or cozy up with your date. From there, you’ll have a delicious meal (I recommend the tuna tartar to start, our 16oz. sirloin with STK sauce and a banana crème pie for dessert) and sing along gratuitously to a few of your favorite songs. Throughout the night you will have made friends, have a full stomach and experienced impeccable, personalized service from start to finish. There’s no reason to go anywhere else, at STK you’re able to meet people, dance, eat and have an amazing evening! How important are the architecture/design to the success of The ONE Group venues? The design and architecture is hugely important to our venues. We take pride in the fact that each STK design is unique, but still falls under the same aesthetic. The design and restaurant layout is intended to encourage guest interaction – low banquette tables, centralized DJ booth – and to set the tone for the guest’s entire experience. At The ONE Group we are so lucky to have tremendous loyalty within our company. We try to foster a great work environment, and in turn people have fun at work because we are just as engaged in the atmosphere as our guests are. The upward mobility within our company is also something that really sets us apart from our peers as well. As a growing company, we try to provide a ladder within The ONE Group to those who want to climb it – it’s exciting to see servers become general managers, or general managers move into a corporate role. Those who perform well are rewarded for it. It is refreshing to have such driven, professional, and passionate people working at a company. We take care of our employees here, and treat everyone like family. I am currently reading “Into The Wild” by Cheryl Strayed. My mother is my end-all, be-all. She is the epitome of a strong, passionate woman, who raised three daughters on her own. She taught us all to be grounded, have great morals and above all to be genuine and kind. My passions are hiking and pilates, good food and good wine. My favorite escape is Turks & Caicos. It’s so serene there, surrounded by crystal blue water – it’s my go-to spot when I want to relax and spend time with my family. What's next for The ONE Group? 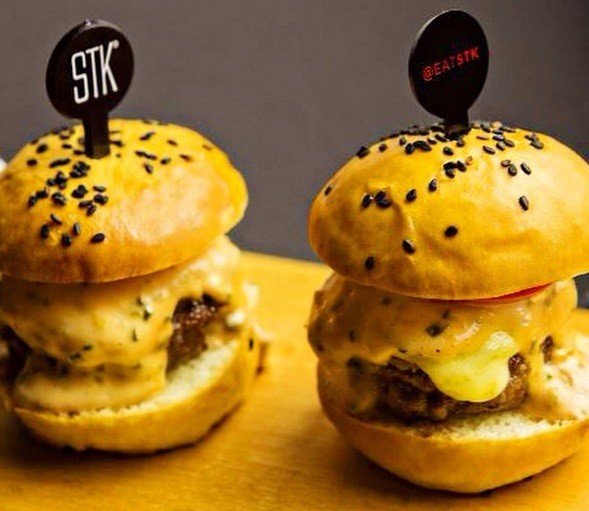 Our biggest endeavor for 2015 is the opening of STK in Milan, Italy which is happening just a few weeks away in May. It’s such a thrilling feeling as a company to finally be expanding into the rest of Europe. We are also excited about our relocation of our popular STK Los Angeles location from it’s current spot on La Cienega to the W Hotel Westwood. Last April  we opened in Washington, DC and we will soon be bringing STK to Chicago, Orlando, and Denver. We’re hoping to keep up the momentum and eventually be in many more places – not only in Europe, but worldwide!